This Halloween t-shirt is just fun and a bit scary. On the t-shirt you can see the full moon in the background and in front you can see an owl with its eyes wide open sitting on a tree branch and then there is a witch flying by on her broom and there a couple of bats. All that makes this into a great Halloween t-shirt for you. 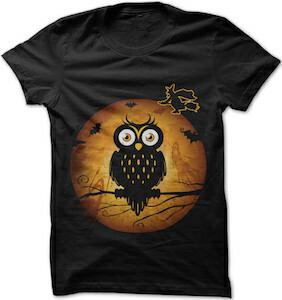 You can get this Halloween t-shirt in many colors and in styles for both men and women. And the 100% cotton t-shirt is available in sizes Small – 5XL. Get ready for Halloween while wearing this special t-shirt. How do you feel after a not so good night rest? A little droopy eyed? A little grumpy? Well this t-shirt is sure to put a little smile on your face. 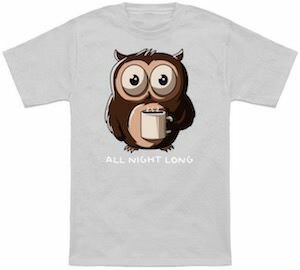 A sleepy cute owl print is on the front of this t-shirt. He looks tired, poor guy. It also says, “not a morning person”. It is so true. The unisex t-shirt comes in different colors and runs from a size Small to a 2XL. It is made of 100% pre-shrunk cotton that is super soft and is considered the jersey cotton. 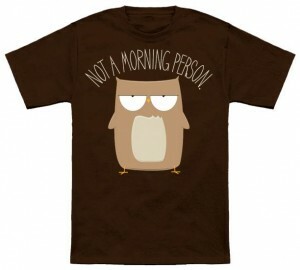 Go on and get a good morning coffee in your Not a Morning Owl T-Shirt. Do you love chasing people and love owls? If you do then you need this t-shirt. On this t-shirt you can see an owl flying away from the shirt right at you. 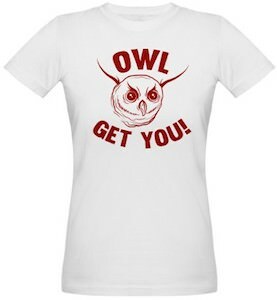 And around the owl there you find the text “Owl get you!” and this all in a red color. And you can get this chasing owl t-shirt in all kind of styles and colors so that you can choose a different look everyday of the week. 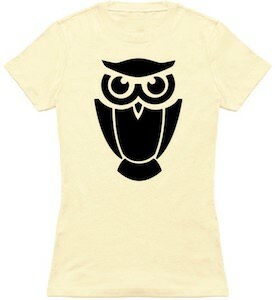 Come check out this Owl Get You T-Shirt.